The purpose of the Honey Queen program is to have a young experienced beekeeper acting as a spokesperson in the community for the honey and beekeeping industry. This young woman will have a pleasant personal presentation and be very knowledgeable about honey bees. She will speak to school children, garden clubs, and at local events upon invitation. She will be supported by the local beekeeping club and encouraged to compete for the Texas Honey Queen and then American Honey Queen title upon her reign of one year in each capacity. 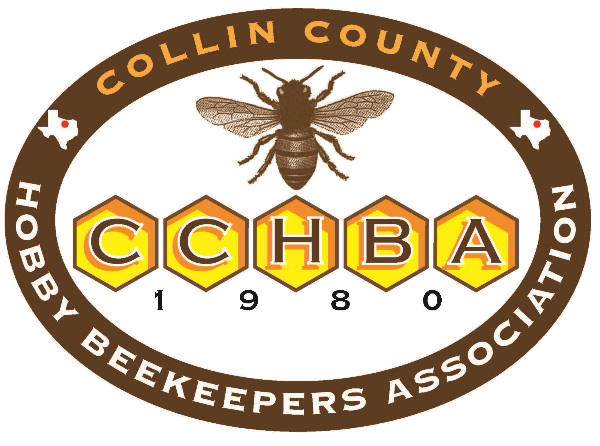 As needed, Collin County Hobby Beekeepers Association may also crown a Honey Princess, who works with the Honey Queen. Contestant shall be single, shall never have been married, nor had a marriage annulled, nor have cohabitated with a male in lieu of a marriage contract. Contestants who are pregnant or have been pregnant are ineligible. Must have a proper sponsor. Must be enrolled in an accredited high school (home schooling, etc.) and/or college. A sponsor can be any Texas Honey Producing or Beekeeping organization, any individual Texas Honey Packer, any Texas Beekeeper, any individual, or any interested organization in Texas, (i.e. Campfire Girls, Exchange Clubs, VFW, etc.). Responsible for contestant entry fee when required. Sponsor shall inform contestant that upon her graduation from high school or the equivalent of a high school diploma, (i.e., G.E.D., etc. ), that she will be eligible to compete in the Texas Honey Queen Contest at the Texas Beekeepers Association Convention that is held annually. Sponsors will be responsible for the contestant’s entry fee for the TBA Honey Queen Contest, crown, banner, gifts, flowers, and any other items needed for the coronation. Sponsors will arrange for the contestant to be fitted and ready for coronation date set forth by the executive committee of the CCHBA. For additional information, contact David Allen, the Honey Queen Program Chair.